Can Crushes Turn Into an Everlasting Love? The thing about crushes is that we tend to fill in the blanks in regard to what we don’t know about the object of our desire, using our own ideologies. 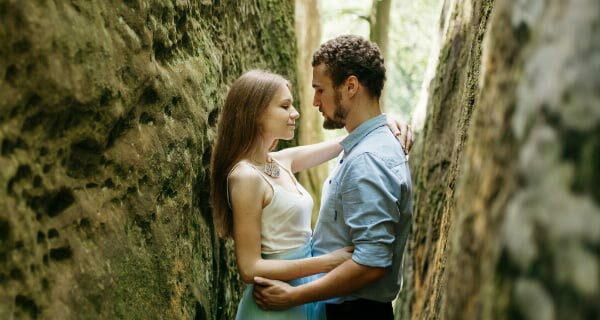 If you are ready to change the dynamic of your crush into something more fulfilling and enduring, here are some helpful hints that will move you in the right direction. Crushes are a combination of fantasy and reality, and are fed by internal desires that you place on the person. As you get to know that special someone better, crushes begin to morph into something more substantial through accepting their strengths and weaknesses. As a result, they are no longer on this unattainable pedestal of perfection, but become real people, with faults just like you and everyone else. It is only on this equal footing that a real relationship can begin to grow into something mature and lasting. There are subtle signs you can give the guy that you are interested in which will invite him to take your relationship to the next level. Flirty secret smiles, prolonged eye contact, and brief physical touches during conversations are just a few ways you can let him know that you’re interested in stepping up the intimacy between the two of you. Planning events—which by their nature call for a certain amount of emotional and spiritual intimacy—is bound to move things along more quickly, provided that this doesn’t scare him away. For example, a sunset supper on the beach on a balmy summer evening provides a beautiful intimate setting devoid of the noise and chaos of dance clubs and movie theaters. Your aim is to build a closer bond by sharing the deeper parts of your being, thus creating a sense of familiarity built on trust, caring, and acceptance. Crushes are often fueled by lust, and stem primarily from a physical attraction, whereas love is an emotional attraction to another person. Feelings of love come from seeing someone for who they are inside and out, as you explore every aspect of each of you and how you fit together as a couple. Physical attraction is a great part of a loving relationship, but it cannot be the only strong feeling you have for him or her. Crushes are often selfish, reflecting your desires for the “perfect man” and usually obscuring the reality of who he actually is, faults and all. True love means putting the person you “love” first, accepting him for who he is and loving him despite his flaws and imperfections. As you get to know him better, you will begin to see him as he truly is, and accepting all sides of him is one of the best ways to prove your love. This also means laying all of your cards on the table, the good with the bad, showing him all of what you are and proving to him that you love him enough to be vulnerable with him. Since crushes are inclined to be built on whimsical desires, as you change, so do your desires. Whereas certain qualities you bestowed upon the idea of him when you first met were once important to you, as your outlook and priorities shift, you may discover you are no longer enamored with these traits and behaviors. Or, as he exhibits certain behaviors which do not live up to your idealized image of him, your crush is likely to diminish. With true and everlasting love, the longer you know him, the more of life you experience with him, the more you are impressed with what you see and the deeper your love grows. I am pretty sure my crush (from a while back) won’t grow into something serious (maybe?). So why is it hard for me to get over that person? to this question….it all depends on the two individuals involved, and their Karmic bonds in this incarnation, among other things. I’ve seen some crushes turn into a happy, healthy long term committments, while, on the other hand, I’ve seen crushes wear off and fade away.